I have been practicing yoga since 2001 and teaching since 2015. 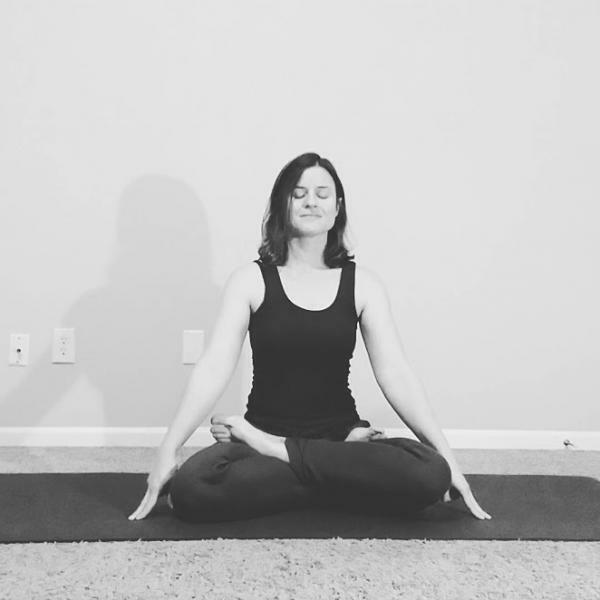 My degree is in philosophy and religion, so I love teaching about yoga philosophy as well as the poses (which are called "asana" in Sanskrit). My teaching style is focused on the principles of effective and safe alignment. Attention is given to each student’s personal level of practice, with modifications and variations given to achieve optimal benefit. My goal is for students to get the most they can out of their practice for both their physical and mental health. Classes can be made accessible and beneficial for almost every level of fitness, from beginner to experienced practitioners. Hope to see you soon! Kayte makes you feel so welcomed before class ever begins with her warm smile. She is very good at helping you into a pose and figuring out where your body can and should be. Her energy is very soothing and knows how to have you leave class feeling super refreshed. I highly recommend Katye's classes. She offers something for every level and her energy is contagious! I love her assists during Savasana. Totally optional, but so worth receiving to deepen your relaxation pose.